Dechen Norbu wrote: Because there is such dichotomy. When you do Guru Yoga, in ngöndro for instance, you are practicing Dzogchen, not Tantra (after dissolution, mind you). But most of ngöndro is not Guru Yoga. Where you spend most of your time, is not in Guru Yoga. Perhaps ideally such could be the case. In practice, I never saw anyone doing it like that, especially when one hasn't recognized the primordial state, which is the most common. This has nothing to do with labels, by the way. I just think there are better practices for 1) recognizing one's natural state 2) geting rid of doubt about such experience 3) integration than ngöndro or Tantra in general. Fell free do disagree. Tantra is excelent, just not Dzogchen practice. It's an aid for, not Dzogchen practice. I practice tantra very, very often. Go figure. What I don't do is taking something for what it isn't. That's when the whole unnecessary confusion begins. There is a line indeed, a very clear line between Tantric practice and Dzogchen. You should be aware of that if you study under ChNN or any other qualified teacher. Ask them and see what they say. Hmm, exageration again. I don't know how Namkhai Norbu on Ngondro, but from other master of Nyinthig certainty in whole Ngondro you do and "finish" visualisations in the manner like in visualisations in the Rushen. Not to mention Vajrasattva is totally diferrent from Krija Tantra, and all other are also related to primordial purity kadak, and spon·ta·ne·ous presence lhundrup. So if this Ngondro is not Dzogchen, also the Rushen is not Dzogchen.... Read please manuals like Kunzang Gongpa Kundu as you have the permission, and you see yourself. All of this is secretive and associated with the protectors, like Ekajati, so it is not like, oh Namkhai Norbu is only open and the best to teach, and others are not. I will not discuss it anymore, not to mention details, because I have not the permission. Please respect it and believe me, you exaggerate. Ngondro is very very very very important! Simon E. wrote: To some. For some. It is far more better than the generalization for all in whole Dzogchen of Dharma Wheel: "Ngondro is not Dzogchen"! I dont think either generalization is useful. Good to see that you are posting again Simon. To the original topic: Preliminary practices in Dzogchen are obviously not required. There are requirements such as direct introduction and working with a genuine master. 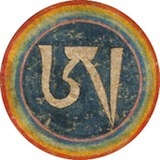 A student would do well to study an original Dzogchen Tantra such as Kunjed Gyalpo. Actually for students who have done tantric ngondro and studied the different schools' interpretation of 'emptiness' then studying the Kunjed Gyalpo would be the best preliminary. I don't see how Thögyal can be understood from a strictly Buddhist point of view - one needs the view of the original Dzogchen tantras to be able to practice Thögyal for instance. Yes and yes, preliminaries are very important for beginners. Gradual development is also here mentioned by me several times as very usefull for the " donkeys " under us. Karma is also mentioned several times seen in the light of others who don' t follow Dzogchen at all. Later on, these people are ready for Dzogchen, so this group does anyway follow the preliminaries, which is a very good way from Sutra to Tantra and from Tantra to Dzogchen. Besides that what is so bad regarding the practice of Ngondro? I guess nothing, so for the ones who do it that is great for them. Then we have seen after the miles and miles of discussion that we cannot deny that other Dzogchen Lineages DO the Ngondro and it seems to be for me that the followers of ChNN' s DC, are the only exception herewith. There are no general rules...apart from those we manufacture to stop panic attacks when faced with That Which Simply Arises. "Once you have recited this prayer as many times as possible, imagine that you and all sentient beings dissolve into the three jewels and the other objects of refuge, all of which the dissolve in to the central figure of the Guru, who embodies all three sources of refuge. Finally, the Guru as well dissolves into Dharmakaya, the primordial state free from elaborations. To conclude, simply rest evenly in the true nature as long as you are able; this is the ultimate act of taking refuge." "To conclude the session, with free-flowing, mindful awareness, seal the session without conceptualizing the three spheres: let go of all thoughts concerning the basis of purification and that which does the purifying. This is the ultimate purification of obscurations." "In the space above this mandala is the special dharmakaya mandala. On this birthless, original ground, arrange piles of the apparent quality of unceasing luminosity, the full expression of awareness"
Jigme Lingpa : Instructions on the common great perfection preliminaries of the heart essence of the vast expanse from "Entrance to the Great Perfection" by Cortland Dahl. To me it is quite obvious that if one have found a qualified Guru and actually apply the practice in the way it is supposed to be applied there is no lack of profound instruction for both recognizing and deciding on the natural state while you do Ngondro. Most problem probably comes from not finding such a qualified master. And if such master can't be found then what help will Trechö and Tögal instructions be? Last edited by heart on Wed Jun 20, 2012 9:04 am, edited 2 times in total. It is interesting when we realize that we do not need the reference points which come from words attributed to mythological beings or speculative future states. Inside the Bon Dzogchen the possibility of maintaining the view is simply correcting the mistaken view. But what is a mistaken view? Not to be busy with Ngondro when one is inside the practice of Dzogchen seen as not important. It never does hurt Nature. There are Geshelas as well Lopons who do still Ngondro. One simple fact of repeating Ngondro are the prostrations for our Guru and Linegae Tree when we enter the Temple. The Rigdzin is there on the Throne i guess and not only in my mind.So he is worth to make prostrations to him, never ending Ngondro. It does not the matter if one does it with a mind of karma or within the Natural State, it is both very beneficial for the person. But Vajrasattva / Dorje Sempa did Teached Dzogchen, so also the 100 syllable Mantra of purification. But also the Dzogchen Master does purifications for the Dzogchen followers etc. that is Tantra i guess. I realy see here a great interdependency and one can use preliminaries and Tantra sure inside one's Dzogchenpa career. It would be for our Lopon lak sure not a blamage if he would practice preliminaries + Tantra inside his Mind. Prostrations done by mind that is also possible and effective. Ngondro is good gor the ego mind of karma and Ngondro eleiminates ego-mind which results in Rigpa experience. So Ngondro has realy its great methods to eliminate ego mind and many are in the beginning more dwelling herein than in Rigpa. Then if they are slow minded, low iq, bad karma, ego trippers etc. then for them is Ngondro the best medicine. That forms the general approach about some Dzogchen Master's approach about what they understood by their practice and related realisations, to give it in that meaning to others like their students. Well also if the students don't agree with the methods like preliminaries they stay or leave and that is also a non-mistaken truth, possibility . As a last remark would i say that inside Dzogchen there are even preliminaries like Kordo Rushen. So there is a wide range of pre methods to get to Dzogchen. But also Yoga Chara, Madyamika, Cittamatra, Abhidharma where the psychology is explained are very important preliminaries. This also very important to know these (boaring) philosophies to get in touch with those who adhere those philosophies. That is for them to start understanding, emptiness, Gzhi / the Mother better. The son comes slowly from far away (at) home. Will he (never) leave asgain? Simon E. wrote: It is interesting when we realize that we do not need the reference points which come from words attributed to mythological beings or speculative future states. Groupthink masquerading as "freedom from all limitations" is still limitation. One man's "mythological being" is another man's "expression of clarity". Simon E. wrote: There are no general rules...apart from those we manufacture to stop panic attacks when faced with That Which Simply Arises. Nice way of putting it. The rest don't bring anything new to the table. Just the regurgitation of the same arguments that I still find unconvincing, plus a pinch of fantasy. Ngöndro is a good way to accumulate merits and purify karma and this is the reason for performing it. This is why it is given, because people are not considered prepared to actual Dzogchen practice (not even Yidam practice). If one knows how to practice Dzogchen, whatever practice one does can be integrated. What's new there? The problem is that most don't know how to practice Dzogchen and will not learn it by doing ngöndro. So that's mostly fantasy. It sells well among those who are looking for Dzogchen teachings and end up getting ngöndro and tantra. All from a Dzogchen perspective, of course. I saw that happening right in this forum yesterday. Ogyen wrote: I've been a Dzogchen lurker for a bit, it IS in Dudjom's lineage I practice out of... but never felt I was advanced enough as a student to be able to access the teachings, because it's 'for the big kids.' I've heard several times, 'when you've done Ngondro,' or Dzogchen is 'the highest level.' I thought, fair enough, I'm a beginner at best, have refuge vows and make my daily life the practice of kindness... but overall, the message I got from Dzogchen was "NOT for ME.... yet." So I steered clear out of the big kids' club. In the dharma practice, I'm just a kid. I look at our teachers and go, yeah... right. I have a LONG way to go. Adamantine jumped in in a flash trying to explain that was not his experience, interpretation, blah, blah, blah, but what Ogyen said in her innocence is what is common, not the other way around. This is not really the tradition of Dudjom's lineage, not how I was introduced to it or understand it.[... ]If your teacher's are not explicitly teaching you Dzogchen™, then ask them to teach on Guru Yoga. You will be receiving Dzogchen teachings, it is inevitable. News flash, if you follow the classic approach, you're expected to actually practice Dzogchen after perfecting kyerim, something most of you will never get to do. The defilements are considered so powerful these days, that some lamas will require not 100.000 of each accumulation, but 400.000. You are not really expected to be able to practice Dzogchen. At most it's believed that you may experience for a very short time your real nature, something rare, and then, kaput. If you believe you have to do ngöndro and yidam so that you can practice Dzogchen, who am I to say the opposite? Go for it, have a blast! Really, I mean it. This is why you do ngöndro and the rest, not because you are practicing Dzogchen or whatever fantasy being sold here. Of course, if you you want to convince yourself that you are practicing Dzogchen when you are breaking your back doing 400 000 prostrations, for instance that's entirely up to you. Prostrations with a Dzogchen flavor are much nicer! I'll take mine with strawberry though. Anyway, none of this is my problem. I don't have anything else to say. Believe what you will. It's your time you're spending. The idea of freedom from all limitations is yours Sir/Madam. I harbor no such ambition. This based on the idea that 100,000 is the Treta yoga amount, but since we are in Kali yuga, it is multiplied by four. I didn't know the exact reason, thanks! Dechen Norbu wrote: It sells well among those who are looking for Dzogchen teachings and end up getting ngöndro and tantra. All from a Dzogchen perspective, of course. See Dechen Norbu, this line is the exact reason why people get annoyed. It is condescending. Dechen Norbu wrote: Anyway, none of this is my problem. I don't have anything else to say. Last edited by Mariusz on Wed Jun 20, 2012 1:47 pm, edited 1 time in total. I really dont see how that is " condescending ". It seems to me to be fair, friendly, and accurate. Of course you don't. Yet, the smiley face makes it condescending or sarcasm or whatever you want to call it. It reads like this: Those idiots who think they are getting Dzogchen but are not getting it because their Buddhist teachers are most interested in making money off their students' backs. If you have a goat, then you have the problems of that goat, whether that goat is "Dzogchen," "Ngondro" or "Instant Presence," in the conceptual sense. Please excuse me, It's time for me to go sit and work on my Ngondro. Whatever you do is just fine, with the guidance of an enlightened Master. May the Dzogchen Masters live long, in good health and with success in all things. Last edited by oldbob on Wed Jun 20, 2012 2:13 pm, edited 1 time in total.